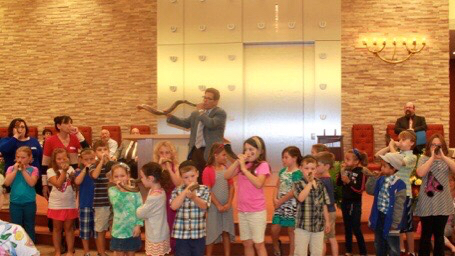 Temple Israel provides a full schedule of High Holy Days services and childcare for certain services. Temple Israel's parking lot provides parking for services, but overflow parking areas are available with neighboring businesses. Membership cards will be mailed to congregants with accounts in “good standing” (paid in full by July 1st). Each membership card will have the name of family members, including children up to age 26. You will need to show your card and photo IDs to the greeters as you enter the building. To make your HHD service experience more meaningful, Temple Israel provides some tips and information about restrictions during services. Guest tickets are available upon request. See the HHD Guest page for information. Temple Israel serves as a Foodbank drop-off point during the High Holidays. The temple office will be open during normal hours (9-5) during the weeks of the HHD period, but will close at 2:30 pm on Erev Rosh Hashanah and Kol Nidre and be closed on Rosh Hashanah and Yom Kippur (depending on the specific dates for HHD in any year).